When Yogi was not even a year old he was diagnosed with a rare blood disease called Thalassemia. Thalassemia is an inherited blood disorder in which the body makes an abnormal form of haemoglobin. Haemoglobin is the protein molecule in red blood cells that carries oxygen. The disorder results in excessive destruction of red blood cells, which leads to anaemia. This disorder has caused Yogi to become very weak with a loss of appetite and low immunity. 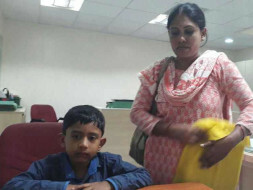 Yogi has been advised to urgently undergo a Bone Marrow Transplant and one of his parents have agreed to be a donor. 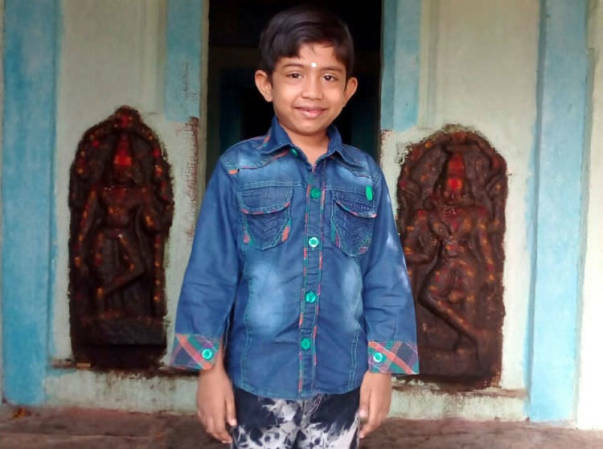 Yogi was an active, naughty boy in school but now every month, Yogi becomes so weak and dull he needs blood injected into him. 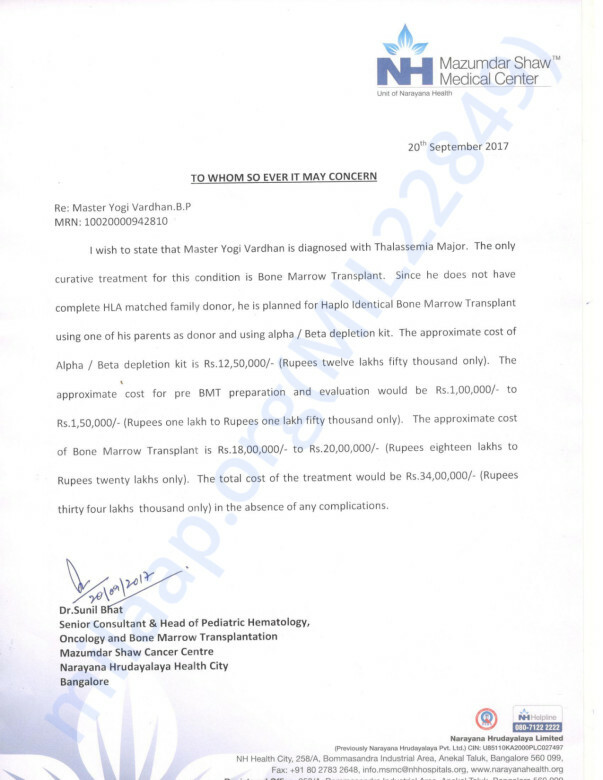 The overall cost of the transplant and treatment amounts to around 34 lakh Rs. 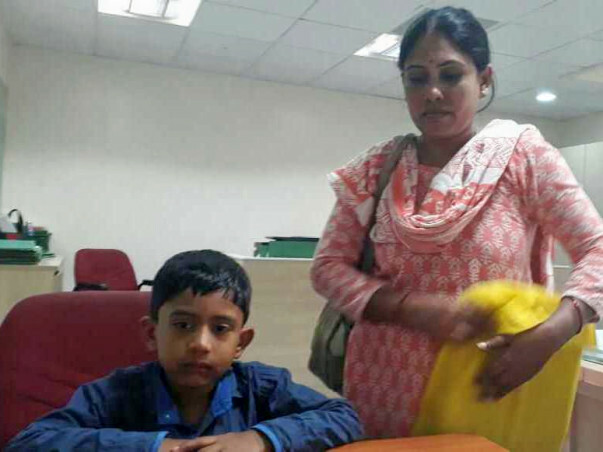 Unfortunately, Yogi's parents, Prasanna and Sumithra earn a monthly salary of 10000 Rs and cannot afford the cost of the surgery. They do not know what to do to save their son but are willing to go to any length. 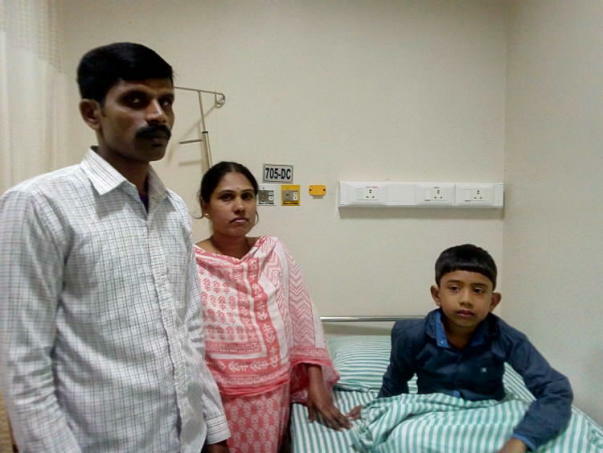 “He is our first child and we keep a very close eye on his condition. When it is time, he becomes pale and stops eating. We know it is time and we take him to the hospital. 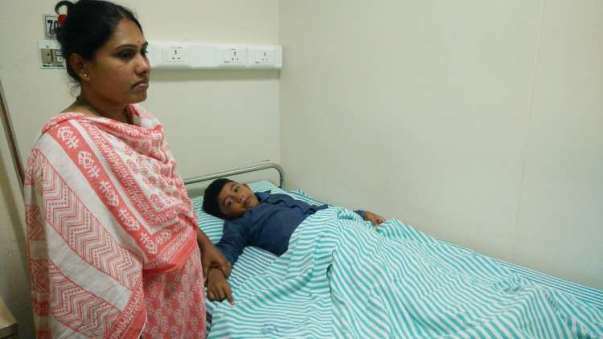 We found out only now that he needs a bone-marrow transplant before he turns 7 to live a healthy life. We don't know how to arrange that,” says Sumitra. Sumitra is worried about her child but not ready to give up on him. Your contribution can help pay for Yogi's transplant and give him the treatment he deserves.